Washington (AFP) - Some say she looks like a ghost from the Pac-Man video game, but she's anything but spooky. 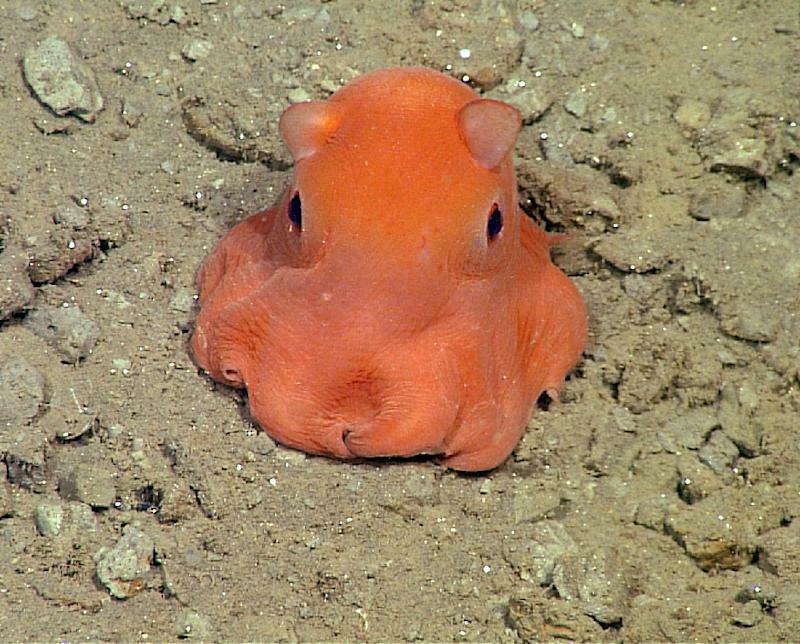 In fact, the fist-sized pink octopus is so cute scientists may call her "Opisthoteuthis Adorabilis." "New species are discovered every year, not all of them get described, it can take a lot of time, years sometimes," she said. Some other species have been deemed adorable -- such as Lophornis adorabilis, the White-crested Coquette hummingbird -- and Bush said: "I don't see any obvious reason why it would be inappropriate ... it's easy to pronounce and popular with the public." Aside from how she looks, we don't know much more about the new octopus, it lives in deep cold waters and the 12 individuals that have been studied so far have all been female. "They spend most of their time on the bottom, sitting on the sediment, but they need to move around to find food, mates," Bush said.